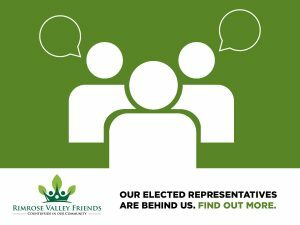 It’s been quite some time since we last posted on our website, so we wanted to put that right, beginning with an update from our elected representatives. 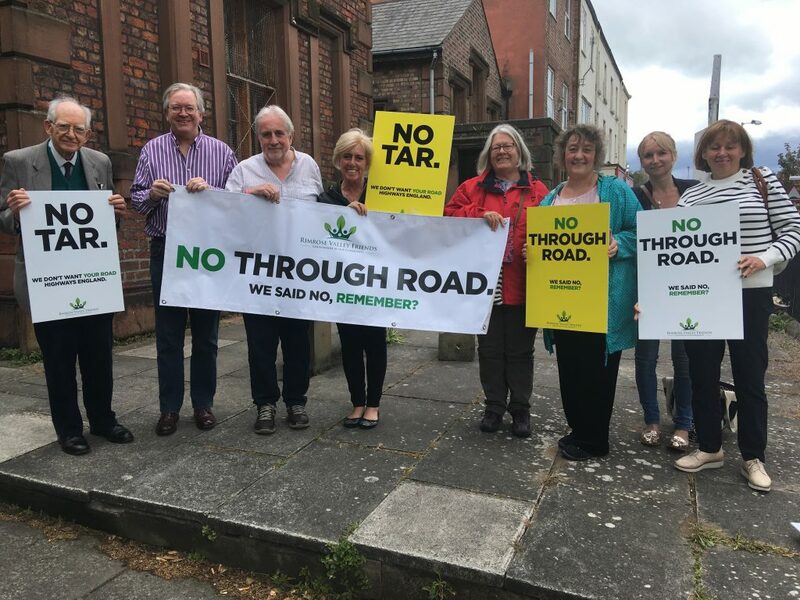 Last month, members of the Rimrose Valley Friends campaign team met with Sefton Council and Peter Dowd MP to discuss the current status of work being undertaken to oppose the road through Rimrose Valley. A representative from the Campaign to Protect Rural England was also present. As well as seeking updates, we wanted to use this as an opportunity to ask some of the questions we have been asked ourselves in the time since we last met. It was a productive and positive session in which both the Council and MP reaffirmed their opposition to the road and their support for our calls for better alternatives. A number of actions were taken away and we’ll be following up on these in the coming weeks. We have summarised the topics covered below. Sefton Council (SMBC) confirmed that this is scheduled to be heard at Manchester High Court on Tuesday, 23rd October 2018. Lawyers from both sides will make their submissions for the Judge to consider. Although this is a highly technical and detailed hearing, we plan for a representative from Rimrose Valley Friends (RVF) to attend court that day. Both Des Brennan (DB), on behalf of CPRE and Peter Dowd MP (PD) requested that the specific grounds for the judicial review be shared with interested parties, which was fed back to the SMBC’s legal team. As we understand it, the argument presented to the court is that Highways England (HE) failed to present a tunnel option in their Public Consultation. It was therefore agreed that the best, possible outcome is that HE is instructed to revisit and re-run the flawed consultation. Should this be the case, RVF requested during the meeting that it be made absolutely clear that we are calling for tunnel options to be presented to the public, not simply the easiest, cheapest, most destructive tunnel option. We wish to see all tunnel options, irrespective of their cost. Finally, we asked that any tunnel options presented include all, feasible routes, not limited to those under Rimrose Valley. This is because we believe that it is important that we establish whether HE has ever fully considered and costed alternative routes, or simply targeted Rimrose Valley as a piece of unoccupied land and a ‘quick win’ for any road construction. We want the public to have the chance to express their view on all potential routes. Whilst the judicial review process itself has had the effect of delaying HE’s progress on Rimrose Valley, SMBC confirmed that they actively continue to seek ways to block, frustrate and delay the Government Agency wherever possible, which was reassuring to hear. We wanted to understand what would happen in terms of support from the Council, should the judicial review fail and whether this would change their stance. SMBC advised that they will only review the situation once the outcome of the proceedings is known. However, they confirmed that they would continue to oppose the road and fight to save Rimrose Valley. CPRE suggested that, should the judicial review fail, it would be worth considering sourcing independent consultants to evaluate and question HE’s position. Although this would be a costly exercise, it wasn’t dismissed entirely, as crowd-funding campaigns have been used in similar situations. SMBC requested the assistance of DB, should the judicial review go against them. The use of independent consultants is something RVF pursued in a meeting with Peel Ports earlier in the year. At that time, Peel Ports advised that they may be open to this in the event that HE are instructed to revisit the consultation process, so this is something RVF would revisit with them. A more public show of support from our elected representatives? One of the things we hear is that our politicians are either too quiet, or even silent on the issue of a road through Rimrose Valley. We wanted to feed this back to the group, let them know it can be viewed negatively and to listen to their view. We asked for more air time to be given to Rimrose Valley on MP’s social media accounts, which have a wide audience and are used to share other, local stories. PD explained that MPs are generally wary of comeback on specific issues, particularly when using social media. Sharing and re-tweeting other’s posts is something he tries to avoid. As a way forward, RVF said they would flag significant news coverage to both PD and Bill Esterson in order for them to decide whether or not to post using their own accounts. SMBC stated that, as individuals, they continue to oppose the plans on social media and will continue to support future RVF events, which RVF acknowledged. CPRE advised that it would be useful to engage with a wider spectrum of politicians, cross-party. The Secretary of State for Transport is obviously a Conservative, so we need to be making efforts to engage with people of influence within that party. Based on the feedback both RVF and our supporters have received to date, we explained that the Metro Mayor’s view of Rimrose Valley not being ‘in his locus’ has not been well received. We also raised concerns about him not wanting to be seen to be turning down investment in the region. We wanted to explore whether – being from the same political party – our MPs and Labour Councillors were able to influence Steve Rotheram’s thinking in any way and encourage him to engage more on this issue. Both SMBC (via meetings with Cllr Ian Maher) and PD confirmed that they have made their position very clear to Steve Rotheram – i.e. that there is no point in having investment if it isn’t GOOD investment. They will continue to try and influence his position, but acknowledged that he is entitled to his own stance. Given that we need to make the threat to Rimrose Valley a national, not just a local issue, we wanted to find out whether the Shadow Transport and Environment Ministers were aware of the case. Also, should there be a change in Government; RVF feel it is important that this is on their radar. We explained that, although local to us, Rimrose Valley is typical of wider issues nationally: bad infrastructure planning, destruction of the environment and the subsequent impact on public health. PD advised that Ministers were not aware of the specifics, as their focus tends to be at a national / macro level. He recommended that RVF writes to the Shadow Ministers directly. However, PD agreed to invite Clive Lewis MP (Shadow Minister for the Treasury) with the aim of informing and raising attention at a higher political level. CPRE said we needed to engage with a body that can make policy and executive decisions (Transport for the North, for example) at a strategic level, because the aspirations of Peel Ports affect the whole of the North, coast to coast. We agreed to follow up on this effort. We wanted to explore whether it is possible for a Labour Council, Labour MPs and Labour Metro Mayor to join forces and unite around this issue to deliver alternative transport measures and solutions which could possibly negate the need for ANY new road. For example: promotion of cleaner vehicles, better public transport, car-sharing incentives, and congestion charges are all things which have been introduced elsewhere at home and abroad. Why not here? SMBC advised that the issue comes down to funding and budget for the Local Transport Plan has been slashed in recent years. Without this budget, they are unable to implement the above. PD agreed and highlighted the disparity in spending per capita in the North versus the South. He also confirmed that budgets for such schemes in the North have been impacted by austerity measures imposed by national Government.